The sweetness of pears and slight tartness of raspberries make a lovely combination. Add a little bit of vanilla yoghurt to bring it all together and the result is an incredibly moist berry packed muffin. Each muffin has over ½ serve of fruit, not that I’m recommending muffins be eaten instead of fruit! 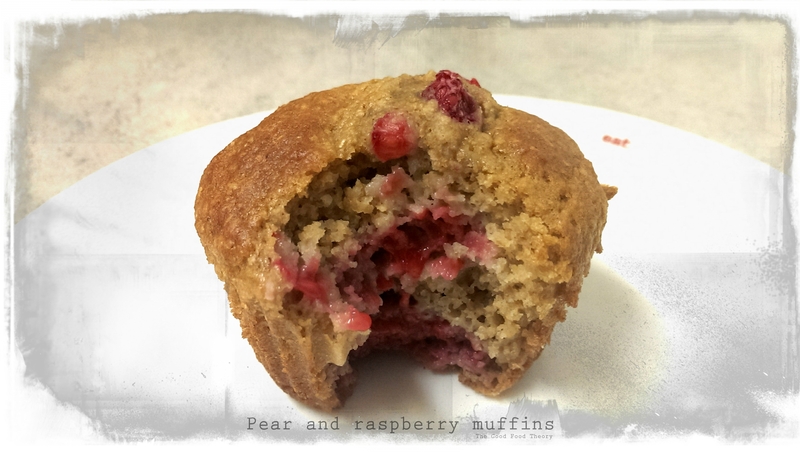 ‘Packham full of pear and raspberry muffins’ they really should be called, since I did use the Packham pear variety in the recipe! 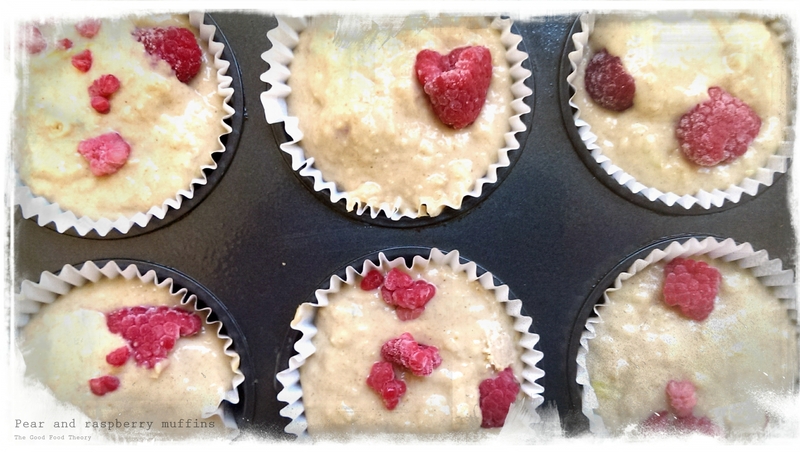 Spoon mixture and distribute raspberries evenly between muffin cups. I prefer doing this instead of combining the berries into the mixture earlier as it stops the berries colouring the whole mixture. I love muffins! These look really moist and delicious! Plus it has fruit.